InternFeel: Hello Sidharth, pleasure to meet you. Please tell us about yourself. What makes you different? Sidharth: I am from Chandigarh pursuing Electronics and Communication from BITS Pilani Hyderabad Campus, interested in computer vision and robotics. My hobbies are primarily playing tennis and doing college “masti” with friends. What makes me different is my sincerity, nothing else. I like to do my work with honesty. 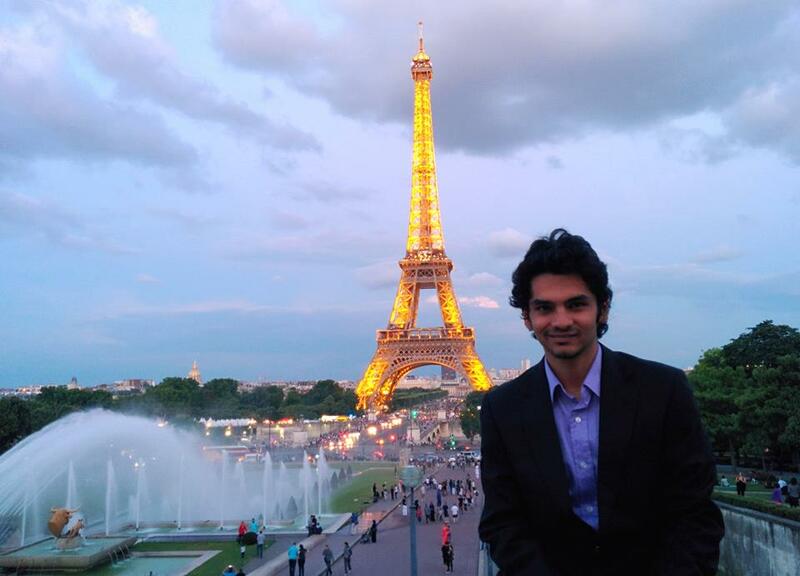 Sidharth: I got selected in the Raman Charpak Internship Program 2014, a scholarship offered by Campus France to intern in a university/lab in France. It is valid for BE & ME students and people from Science, Engineering and Economics are also eligible to apply. The duration for me was 10 weeks. I received 310 euros per month as grant and 436 euros as my monthly stipend. Besides that my visa fee was waived by the French Embassy. I interned at Telecom ParisTech, Paris, France. Sidharth: I was following internshala very closely from October onwards. Moreover I got to know about this from my seniors. IF: Tell us the procedure to apply for the internship. Who all are eligible to apply for this internship? Sidharth: The procedure is quite similar to DAAD. You need to find professors in France and write to them directly. Once a prof is convinced by your skills and is willing to call you, then you get an invitation letter from him. Using that invitation letter you apply to the Charpak Internship Program. It is valid for BE & ME students and people from Science, Engineering and Economics are eligible to apply. Sidharth: It’s pretty competitive, only 30 odd students from entire India get this scholarship. Firstly it’s not easy to convince a prof to accept you as an intern considering the fact that we are still doing bachelor’s and it’s going to be for 3 months max (that’s too less for them to do original work). I had a solid CV, and very strong SOP. My CG was not as strong as the other two. What I realised was that the selectors look at 1. SOP 2. CV 3. CG. In the respective order of preference. I may be wrong but I really feel that’s their criterion. Sidharth: Celebrations!..Well it was an unbelievable feeling. It was around 11pm when I opened my GMail and saw the mail. And as soon as I saw the mail from them, I was scared to open it at first :P. But then I did and it happened. The thought of spending the Summer in PARIS, comm’on…Nothing could be better than living in the fashion capital of the world. My friends congratulated me and that led to a string of treats. Sidharth: I was in constant touch with my prof and we exchanged a few resources that would be required for the internship. I actually started to work before getting there in terms of planning and designing models. Basically I started brainstorming different ways to get about my project and I maintained a doc which both of us updated almost weekly. IF: So Sidharth, could you please highlight us the work/research project you carried out during the internship period? It’s application in near future and your work in it? 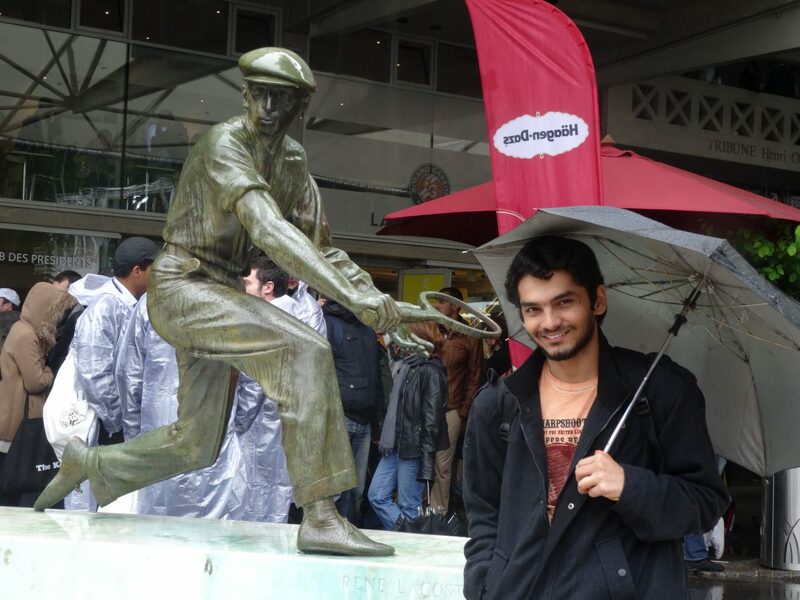 Sidharth: I was a research intern in the HCI group at TELECOM ParisTech, Paris. I had to work closely in the field of electronics and HCI and my project was an attempt to combine HCI and robotics together and investigate various scenarios possible. I had to make the desktop surroundings movable using gesture design interacting scenarios. IF: What was the best thing about the work culture and the internship? What all things did you like there? Sidharth: Yes in my institute there was a digiscope room built recently and big research figures from all Europe would come to see the new technology. It was a room with a big touch screen, really big and each and every point in the room was mapped using sophisticated pointers and cameras. It was indeed a pleasure to understand how things worked in that room. My hostel life was simply awesome. It was a co-ed hostel and we used to have events every week. Every Tuesday there used to be party in the basement of the hostel where all the people used to gel with each other and make new friends. There were also free dance classes every Monday taught by a CS Dept. prof! and a few students. It was really cool and beautiful experience altogether. Sidharth: My guide is a CNRS research fellow. It is the highest honour in research field of Europe for young researchers. He is very friendly and super cool. His knowledge is quite vast in his fields. He loves to do interdisciplinary research and collaborates with researchers in fields outside of HCI as well. By far he has been the best guide I have ever worked with. I feel fortunate to continue my bachelor thesis work under his guidance. 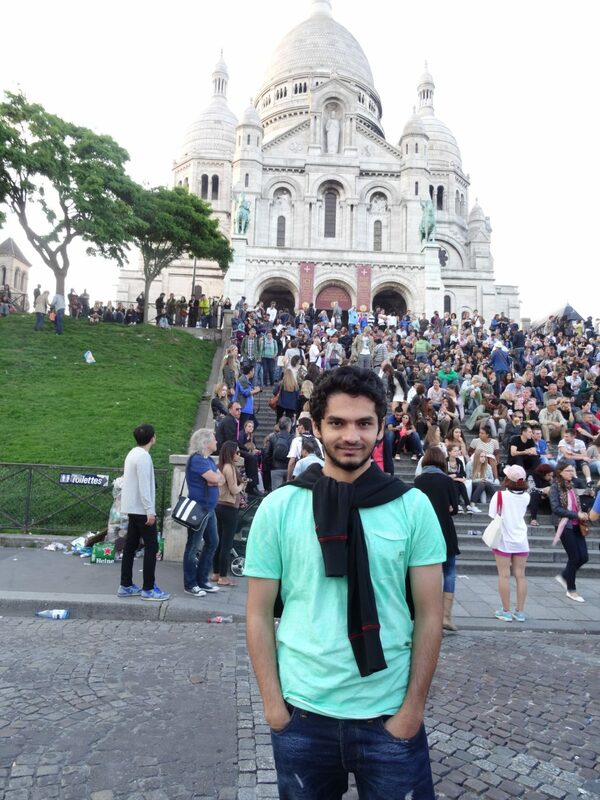 As a scholarship holder I was benefited a lot especially considering the fact that I was living in Paris. So the 310 euros per month really helped me in catching up with my living expenses. The scholarship amount was supplemented by a stipend from my french university and so I had a total of about 740 euros per month which was somewhat sufficient to survive in Paris. The mode of delivery of the grant was quite easy and hassle free. I simply had to show my passport at the travelex and I was given the cash directly. What problems you or your friends faced, regarding the internship, which your juniors may be able to avoid? Sidharth: I was in Paris for the Summer 2014. What more could I have ever asked for. Seriously, it was the best 71 days of my life. 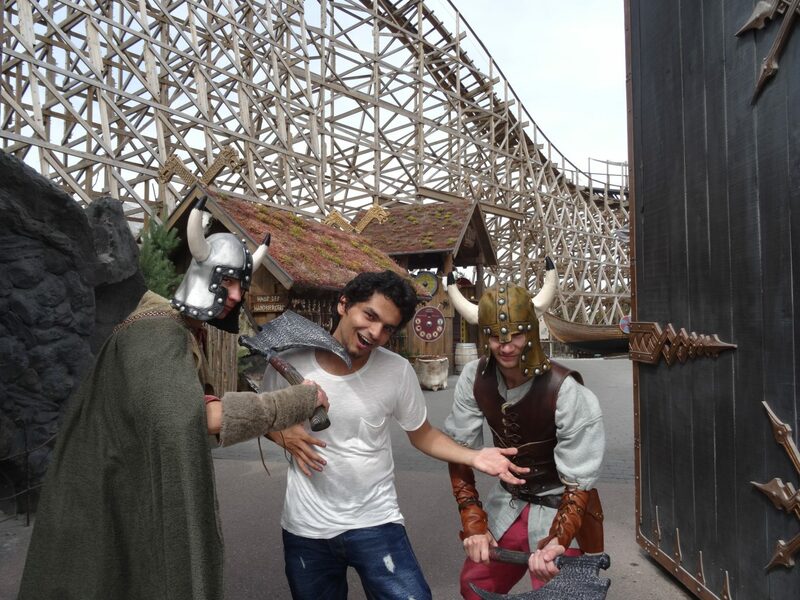 I made friends, experienced the western culture. The culture was very welcoming and the people in my group were quite social and well natured. I was completely taken over by the French hospitality and simply loved the way they treat their peers. I got an opportunity to attend a few get together treats and made good contacts. I almost covered all of Paris and saw such beautiful architecture! I used to go out on weekends and visit places like a tourist. I managed to make friends there and we hung out at times and also went for a road trip to the north and west parts of France. It was a scenic and mesmerizing experience overall. For more details, please ping me. IF: Have you done any internship/training before? It would help the readers if you could bring a comparison in light among your two different experiences. Sidharth: Yes I’ve had research internships before. This internship was very different from others in the sense that I was given a PhD level project and I learnt enormously from it. I will be happy to discuss my project offline. The biggest difference is that in India you don’t get proper mentorship, but there the prof actually sits with you to guide you and help you where you lack! Sidharth: Umm I am really not sure about the branches of the students because I really didn’t get a chance to interact with them much. Still although it says that it’s open for economics students as well, mostly it’s always the engineering students who make the cut. Going strictly by the universities that the students went to I can say that Computer Science, Electronics/ Electrical/ Communication, Mechanical, Physics, Chemistry students have an edge over the others (in the respective order of preference). I could be wrong. For postgraduate students it is obviously easier to qualify but I think the Charpak people encourage bachelor students more in the hope that they would return to France for their graduate studies. But this should not demotivate postgrads from applying. I personally know a few ME/MS students who are applying this year. IF: Did Charpak provide them all just 310 Euros and rest 436 Euros were given by host prof/lab OR there were some students who didn’t receive the 436 Euros from host prof/univ? Sidharth: This is a very confusing statement that they write on their application website. Charpak will only give you 310 euros per month and a full visa fee waiver, that’s it. Other than that they’ll help find a cheap accomodation near your university (not a big help though) and if you confirm it then they’ll cut the amount from your 310 and give you the rest (if it’s in Paris then you’ll have to pay atleast 348 just for the accomodation). Now there is a rule in France that interns interning for more than 8 weeks are entitled a salary/stipend/whatever you’d like to call it, of atleast 1/3rd of the average salary of a french (i.e. around 1300 euros per month) now 1/3rd of that works out to be about 436 euros. Hence the statement that in addition to 310 the student can get 436 as well, but Charpak will NOT give 436 or will not help in any way to get the amount. It is entirely upto the students to convince their prof/university to get 436 (or atleast 126, to fulfil the French law to make it 310+126 =436). IF: Were there some students who have got complete funding (310+436) i.e. 746 Euros through Charpak Scholarship only? Sidharth: Charpak gives only 310, for the remaining 436 it’s not in the hands of Charpak. As a matter of fact I was not getting anything from my prof and I had to rely only on the 310 for quite some time. Charpak will not help in getting those 436. It generally happens that most Profs are aware of this rule (8week 436 rule) and they should give you this amount but it depends. Many times they don’t also. My prof was completely unaware of this rule. He was forced to give me 126 in addition to 310 to make it 436. But it turned out that he could arrange for funds at the right time and so I got full 436. So I got 310 + 436 total from Charpak and my university combined. Now my university (I guess all institutes in France) have a tie up with campus France. So in a way it was Campus France that paid me the amount but the process has to be initiated by the French institute not by Campus France. Whatever it is, if the student is getting a stipend it will be mentioned in the internship agreement that he signs with the institute. So if any amount (other than 310 by Charpak) is there in the internship agreement it’ll be assured that u will get it. IF: Approximate CGPA/CGPI cut-off for a student from an IIT, NIT and other Institute? Sidharth: There is strictly no cut off for applying. However I feel that you must at least have GPA of 8/10. I had CGPA of 8.93 at the time of applying. There is no separate cut offs for “IITS/NITs/etc” for sure. But the selection committee obviously sees the name of the Indian Institute from where the student is pursuing his bachelor’s degree. If you have a stellar profile and low (8.3ish) GPA, I suggest you must apply. It is my gut feeling that they consider 3 things as their priority while selecting students 1. SOP 2. CV 3. CGPA (in the same order of preference). You need to have very well documented SOP and crisp CV that immediately reflects who you are. IF: To whom all you would like to thank in context of this internship? 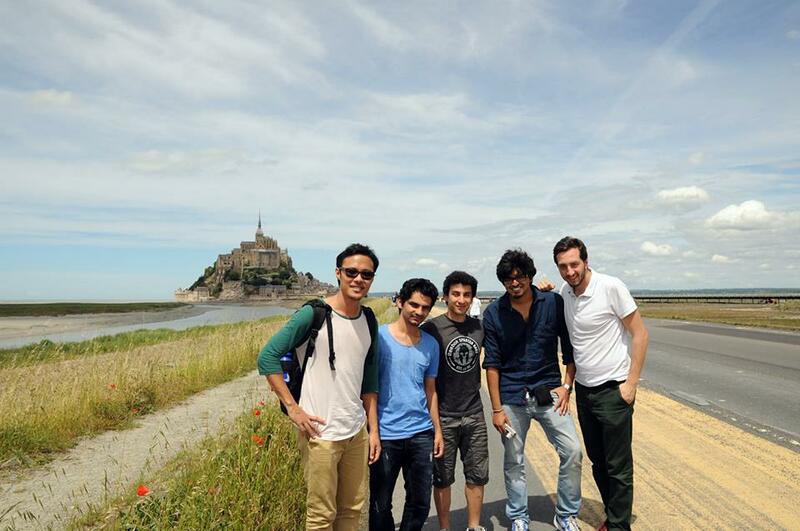 Sidharth: I would like to thank one of my senior friend who helped me a lot in mailing Profs in France. He is really a genuine person and himself a DAAD awardee. He was in France at the time I was there. I owe a part of my selection to him. Other than that I’d like to thank my brother (who got into Mitacs program) for constantly supporting me in everything! We are twins (non identical) by the way 😛 . Sidharth: It had a big impact on my mindset. International exposure automatically allows you to think big and think logical. It imbibes in you the sense of care and humility towards everyone. Other than that the amount of respect that I got during my internship was a prime motivator that I am continuing my thesis again in Paris. I am intellectually stronger today than I was before the internship. IF: Advice for juniors? Which can help them in getting internships in their future college life and also advise for making the best out of it. Sidharth: Be original, do quality research work. Master the art of writing a good first mail to profs. Be patient for their replies. Send them a very polite reminder after 2 weeks or so in case you don’t hear from them. NEVER use flowery language in your emails. Be precise and to the point, profs out there have a busy schedule. It’s important to develop a good skill set. Profs require people with skill set more than their research experience, especially for short 2-3 months internships! But never lie on your Resume because many times profs will interview you and if you get caught then, it will not only harm the student but will also bring bad name for prospective future Indian students in the prof’s eyes. Once you get there try to have fun. Work on weekdays and enjoy and live your life on the weekends. Aftera ll you have earned it! Sidharth: I intend to do MS after this. I am continuing in the same university under the same professor to work on my Bachelor thesis for 6 months starting from January 2015 till July. So the new Charpak awardees can feel free to contact me anytime in Paris. Sidharth: It’s a nice initiative. It will definitely be very beneficial for the prospective students. I would like to suggest that it would be even better if u guys allow the students to contact the “Charpak alumni” directly as well. IF: Sidharth it was so nice to know all about this. We agree you would have been busy with your academics. Even then you took out time for this. We thank you and wish you best of luck for all your future endeavors. Sidharth: The pleasure is all mine. I’ll be happy to answer to more specific quarries in person as well. Keep up the good work guys.